The 5th Annual MotoDoffo + KCF Event at Doffo Winery in Temecula, California on Saturday, June 23rd, 2018. Bookmark this page to stay up-to-date on event info, schedule, auction items, sponsors, raffle prizes and more! Next door to Doffo Winery is the home of the Temecula Balloon & Wine Festival, Lake Skinner. Lake Skinner is a TKTKT resevoir frequented by campers and fisherman. The campground features 199 hook-up sites, a camp store, boat rentals, hiking trails and much more. To reserve a RV or tent space, check out their reservation page at http://www.rivcoparks.org/lake-skinner-recreation-area/. Temecula, California is home to TKTKTK Southern California wineries. There are many accommodations in the areas. 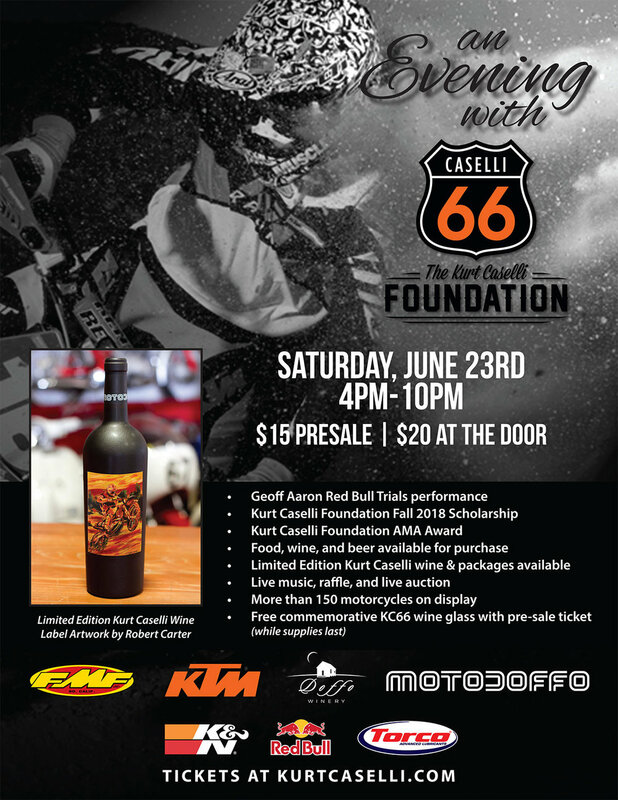 Our friends at ___ always take care of our guests who venture out to attend the Kurt Caselli Foundation benefit.